The game is very funny. I like it. hello teacher me gusto mucho el el game peero era facil pero tambien me gustaria que no quiten el blog de ingles por favor muchos niños quieren que no lo quiten por favor y se lo asen todo el cole se le agradeceran por favor no lo quiten gracias. 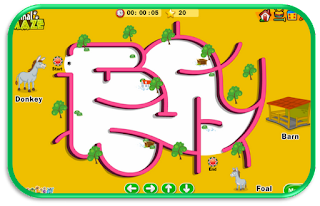 hello teacher me a encantado este juego y por favor no zierren el blog pliiiiiiiiiiiiiiiiiiiiiiiiiiiiiiiiiiiiiiiiiiiiiiiiiiiiiiiiiiiiiiiiiiiiiiiiiiiiiiiiiiiiiiiiiiiiiiiiiiiiiiiiiiiiiiiiiiiiiiiiiiiiiiiiiiiiiiiiiiis. Salve the fun english ¡¡¡¡¡¡PLEASE!!!!!!!! it beautiful today the teacher comment the que van a quitar el blog o algo asi pero lo van a quitar de internet explores????? Por favor teacher no cierren el blog de inglés. Teachers,creo que hablo por todos y digo¿Si cierran el blog,donde vamos a estudiar?Teachers please no cierren el blog.Bye. Hello teachers i like this game. mira como todos los niñas y niños te dicen que no lo cierren yo te pido que no lo cierren por fabooooooooooooooooooooooooooooooooooooooooooooooooooooooooooooooooooooooooooooooooos plis.Bye Bye teachers. me gusta mucho este juego . Pero es muy facil . I have just nominated you for the LIEBSTER BLOG AWARD. Teacher no sierren el bloc pleaseeeeeeeeeeeeeeeeeeeeeeeeeeeeeeeeeeeeeeeeeeeeeeeeeeeeeeeeeeeeeeeeeeeeeeeeeeeeeeeeeeeeeeeeeeeeeeeeeeeeeeeeeeeeeeeeeeeeeeeeeeeeeeeeeeeeeeeeeeeeeeeeeeeeeeeeeeeeeeeee. Ilike this game Bye Bye. I like this game Bye Bye. I like this game Bye Bye teachers. hello teachers i like this game is a very very funny. bye bye. thank you very much for the game. It is fun and my children will be happy to play it. hello teacher i liked this game because brain development makes bye.bye =). hi juani and carmen rosa ! Me a gustado muchisimo este juego aparte es muy facil y divertido. hello teachers the games a like many. Hello Carmen Rosa.I like the game.Bye bye. hello teacher this game is funny and easy.